We’ve already started to celebrate the holiday season a little bit here on the blog and in our home, but today we feel like we’re officially kicking off our holiday season here with you guys with the most fun, easy, affordable holiday decor DIY! What’s more, this post and awesome little DIY holiday decor project is really indicative of the overall approach we’re taking to the 2018 holiday season here on Love + Specs and we hope you guys will love what we have in store! This year we wanted to focus on what we love and what we know you guys really value from us -- tons of easy, fun DIY holiday and winter home decor projects, a little bit of winter home design love which of course means another tour around our beloved, charming little neighborhood so you can see it in full bloom (citrus grove heaven! 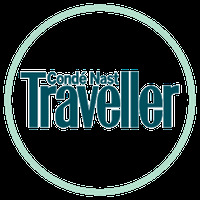 ), some cozy, casual holiday and winter style and of course, some light gift guidance that gets right to the good stuff and leaves out all the random product overload. As mentioned, we’re sharing a lot of really cool holiday home decor DIY projects here on the blog over the next month that are as easy to execute as they are fun to look at, which is something we really wanted to dive into with you guys this holiday season. And there are a couple of reasons for that. 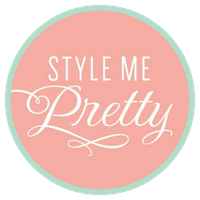 The first is that DIY home decor and personal, meaningful, affordably awesome home decor in general is something that inspires us and that we’re really passionate about, and that’s doubly true during the holiday season. 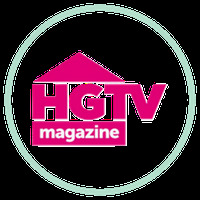 This season inspires us so much on the home front! The second is that for a large portion of you guys, that kind of content is why you keep coming back to this little blog of ours. You’re hungry for it, and serving your needs and giving you more of the things you love is what we’re all about! So it’s in that spirit that we bring you today’s easier than easy DIY holiday home decor project -- yarn wrapped trees! 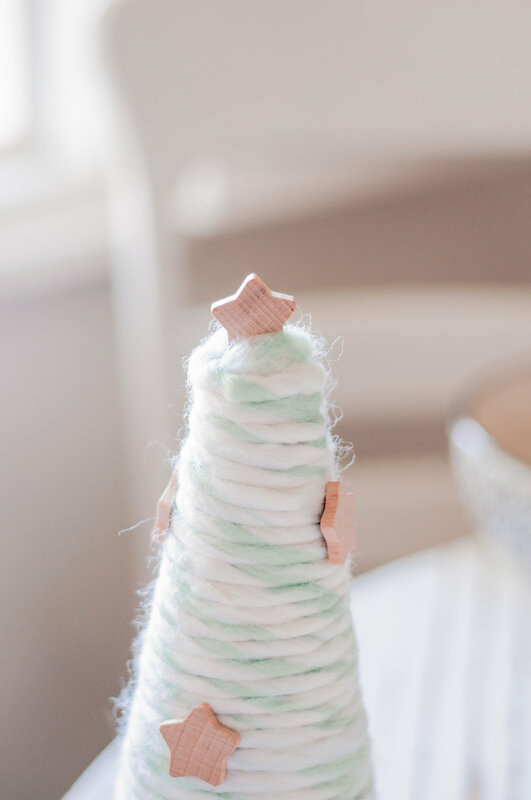 You guys have probably seen these popping up on the interwebs over the last couple of years during the holiday season (wool/yarn/wrapped/felted wool trees… whatever you want to call them! ), and we have to say that we couldn’t love this little holiday decor trend more. The whole yarn/felt/wool tree thing has all of the understated, cozy Scandinavian holiday decor vibes and you know how happy that makes us! And last year we spotted these wool cone tabletop trees at World Market and became attached to the idea of re-creating the look ourselves. The pastels and the raw wood stars are right up our alley! Then at the end of the holiday season last year, I saw these little bundles of mint and white swirl yarn by Meri Meri in the clearance bin at Anthropologie, and scooped them up for next to nothing having no idea what I’d use them for, but knowing that they’d find their way to the right project sooner or later. And here it is! I love these trees so much not only because they’re the kind of minimal, cozy, hygge holiday home decor I absolutely love, but also because I know that I’ll be excited to pull these out of the holiday decor box year after year because the style will stand the test of time. 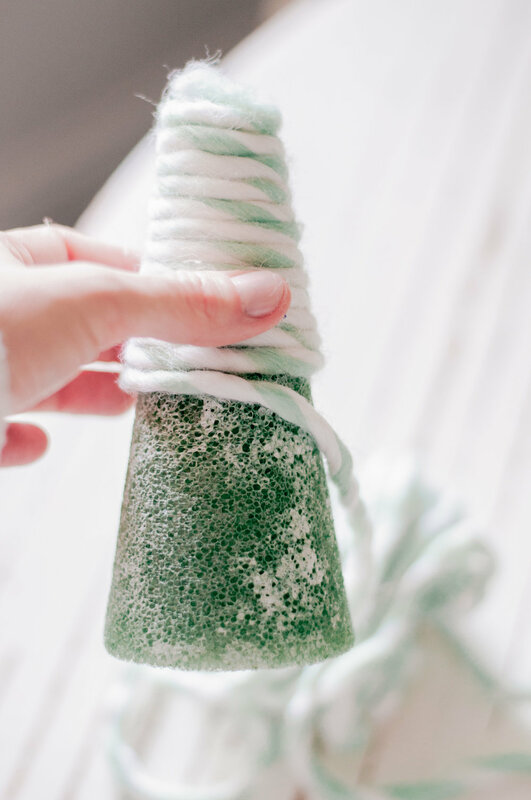 You could keep this project super simple and totally just wrap the trees in a chunky green yarn and call it a day (which would be awesome, too), but I love the using this as an opportunity to do something fun and a little bit funky with color for the holidays. Even though sometimes I think using using mint in holiday decor can feel a little bit more modern than we’re into in our house, the raw wood stars and the natural birch “stumps”, which are actually just little birch craft coasters and “tags”, are the perfect way to make these feel more rustic and cottage-cozy than modern. At the end of the day, though this project can so easily be customized to fit the design and feel of your home, which is what makes it so awesome! Like I said you can switch up the yarn color for any fun, chunky yarn color your heart desires, you can swap out the wood stars for something more colorful and ornate, or you can keep these really simple without any decoration and without the birch stumps. What’s more, these would also make a really fun hostess gift for the holidays, would be so cute when included in any DIY gift box that you’re delivering to friends and loved ones, or they’d make a great project to tackle with the kiddos this season! So. Many. Possibilities. All of the instructions for creating these easy and affordable holiday yarn trees are below, and we hope you have as much fun creating these as we did! And as always, if you re-create these on your own make sure you tag us in a photo of your finished trees on Instagram, drop us a comment here in the comments section, send us an email with photos @ hello@loveandspecs.com, or tag us on Facebook. We love to seeing how you guys make these projects your own! Yarn of Choice - About 18 or so yards covered all 3 of my trees. For the larger tree, it required about 7 yards of yarn I’d say. Small Birch “Tags” and “Coasters” - just make sure the varying sizes will work for the cone sizes you use. 1. Spray one entire styrofoam cone with your spray glue (except for the bottom). We did this outside in the rocks in our backyard and always recommend using a product like this outside where it’s well ventilated. And don’t worry about it drying too quickly - while you should start applying your yarn relatively quickly after you spray, if you have to walk back inside to start applying your yarn it will still be sufficiently sticky. Spray glue specifically is awesome for adhering things to styrofoam because it won’t compromise the integrity of the foam (i.e. melt it, eat away at it, etc.). So that’s why we’re using it here! 2. Take one end of your yarn bundle and spread the end out like a fan. Attach that end to the top of your tree. You’ll come back and secure this further later on so the entire top is covered, but start by placing it there, adhering it with the spray glue that you’ve already applied. 3. Begin wrapping your tree tightly with the yarn. Make sure that you start your wrapping around the edge of the very top of the cone and work your way down and around the cone from there. If you’re not into the perfectly wrapped look, you can go the route of the World Market trees and make it a little more chunky and imperfect by criss-crossing the yarn back and forth a little bit more haphazardly. I love both looks, but I wrapped mine tightly and evenly because it was just plain easier to execute and requires less yarn. 4. 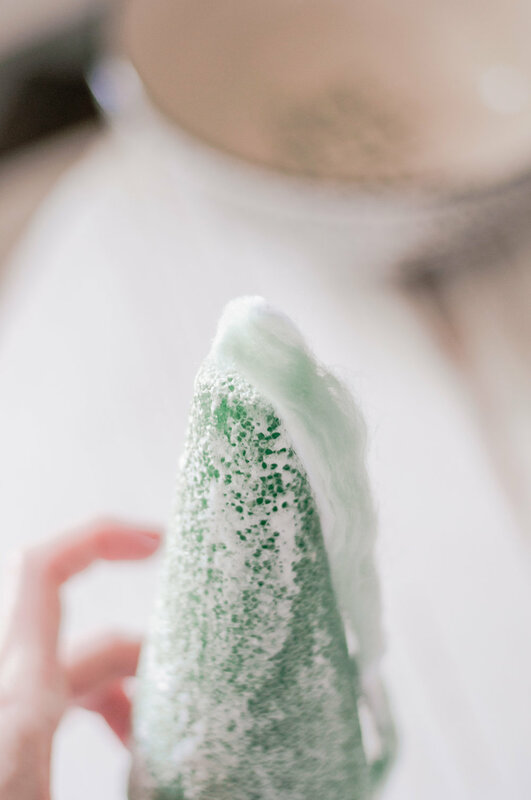 Once you’ve tightly wrapped your cone with your yarn and get to the very bottom of the cone, cut the end off of your yarn and place a small dot of Rapid Dry adhesive in the last uncovered spot on the cone where you want to attach the end of your yarn. Attach the end to the dot of glue and hold it in place for 30 seconds to make sure it’s secure. 5. Now go back up to the top of your tree and pull/spread your yarn out further if you need to cover more of the top of your styrofoam cone. Place a dot of Rapid Dry where you want to cover the foam, and position your yarn on top of it, holding it in place with your finger for about 30 seconds to make sure it’s secure. This isn’t a science, so you may have to work to delicately pull your yarn apart to cover what you need to cover, or you may not need to do anything! 6. To secure your birch “tree stump” to the bottom of your cone, you can do it one of two ways - use the spray glue again or use your Rapid Dry glue. If you use the spray glue, you risk spraying your yarn unintentionally with overspray, and furthermore, spray glues tend to be low-tack, so when trying to attach a heavier piece like the birch wood coasters to styrofoam, it might not hold up. We went the route of using the Rapid Dry to attach our birch stump to the bottom of the tree and it has held up so well, but know that if you use to much glue or press too hard when you attach the stump to the styrofoam, it might damage the foam and kick your tree off balance. So just apply the glue to the stump, place the stump glue side up on your flat surface, and gently place the cone on top of it. Let it sit in place without disturbing it for about 10 minutes. 7. Now you’re ready to apply your stars to the tree! 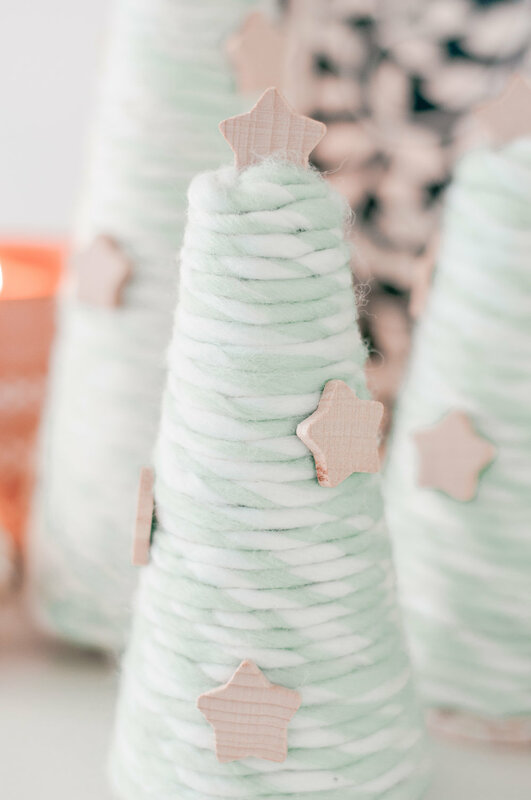 To secure the wood stars to your yarn, just place a dot of Rapid Dry at the center of the back of each star, attach it in the desired position on your tree and hold it there with your finger for 15 seconds . You may have to lightly press down again, but the longer you hold your finger there the more secure it will be. 8. For the tree topper star, just run a line of Rapid Dry along the bottom of your star, and stick it on the top of your tree, pressing down into the yarn at the top of the tree with a little bit of pressure. Hold the star down, firmly pressing into the yarn for 30 seconds.